Apple seems to be close to announcing new products based on brand new materials. "I would love to talk about future stuff - there are materials we haven't worked in before. I've been working on this stuff for a few years now. Tim is fundamentally involved in pushing into these new areas and into these new materials." 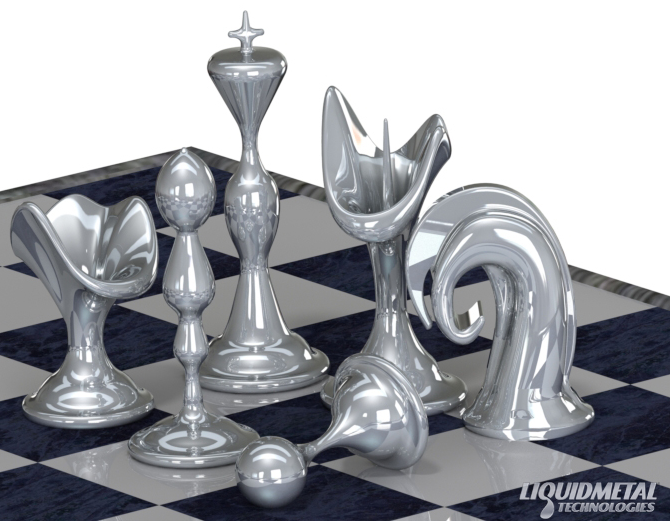 Back in June 2012 I wrote an magazine article about liquidmetal material science, Atakan Peker, the Liquidmetal Technologies company and Apple's interest in this technology. Two years later, almost to the day, it seems this might finally be the year Apple brings Liquidmetal into its product line. Whatever Jonathan Ive is cooking up in his super-secret Apple design studio, chances are we'll find out soon. Read more analysis posts about Apple.